Note : The price quoted above is approximate and it will vary as per buyer's requirement and product specifications. Usually, the price varies between Rs 80, 000 to 1, 20, 000 per panel. 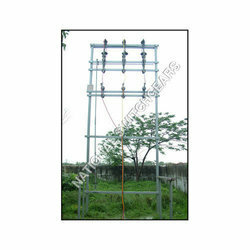 We are offering an extensive series of Double Pole Structure. We install HT Double Pole / Single Pole Structures with CT, PT etc for HT Substation. Design, Supply, Installation, Testing and Commissioning of Electric Power Lines, Overhead and through Cables. Capitalizing on the ability of our skilled personnel, we are keenly instrumental in delivering a comprehensive array of Double Pole Structures. Leveraging on our industrious workforce; we are offering Double Pole Structures to the customers.Offered range is manufactured by making use of quality-approved components under the observation of highly experience technocrats in accordance to market quality standards. 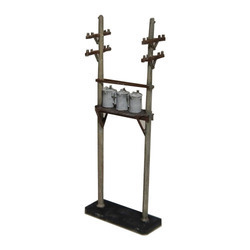 Double Pole Structure is available with us in different sizes.